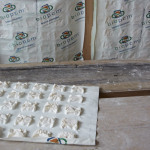 Recycled products are becoming more and more prominent, and the plaster as part of the Interior Lining is about as recycled as it gets. Efficiency and Stability is Sustainability’s best friends, and that means climate and temperature control. To help with this we are being guided by the German PassivHaus Standard, which aligns so well with the FivexFour objectives it may as well have been designed for it! The Standard is about making your home airtight and installing a manual or mechanical ventilation system. Air is pre-cooled and pre-heated before being vented into the building, which makes a traditional indoor heating/cooling system obsolete. This can reduce a building’s energy consumption due to heating/cooling by up to 90%! 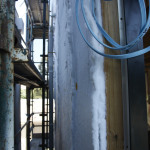 Pre-cooling/heating air is not the hard bit – it’s getting a house airtight! 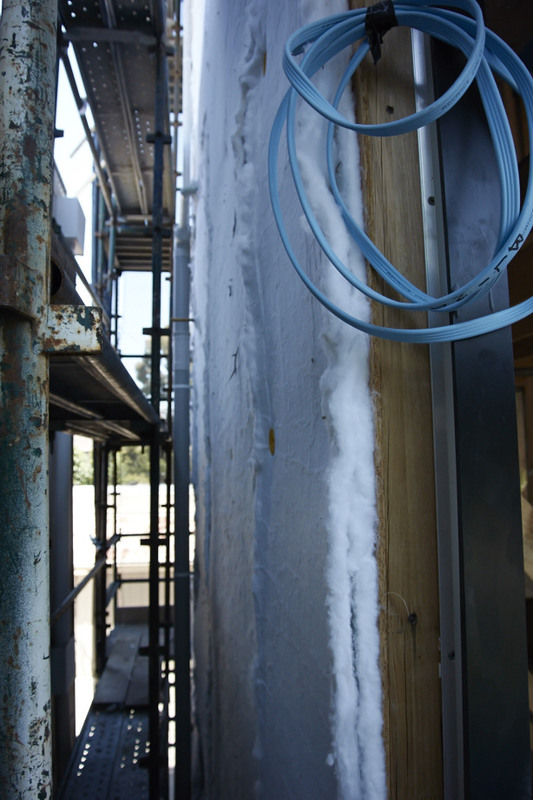 To help with this, we are using products developed by ProClima, which blankets and tapes all the inside and outside walls before they are clad. 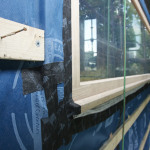 Every frame and wire hole is taped up in an effort to reduce unwanted airflow throughout the building. 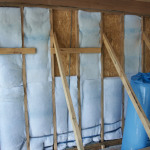 Underneath interior airtight wrap is the Phase-change Material. Phase-change Material (PCM) is a substance which melts and solidifies at a certain temperature, and is capable of storing and releasing large amounts of energy. Heat is absorbed or released when the material changes from solid to liquid and vice versa; when it’s cold outside the PCM solidifies before the temperature of the room is effected, and the exact opposite when it’s hot. 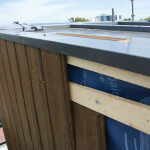 To keep the building upright there are both F17 Stud Work, and Structural OSB Board, both harvested and manufactured as sustainably as possible. 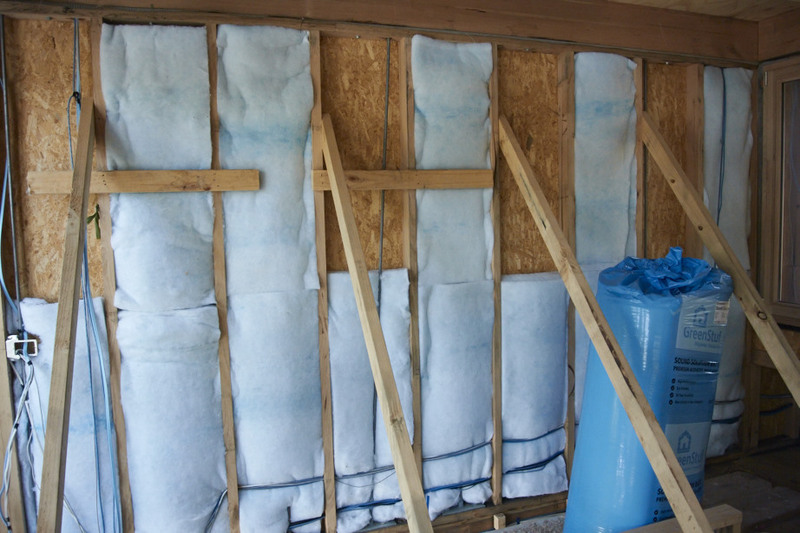 Between the Stud Work are Recycled Polyester Insulation Batts, and on the outside of the exterior wrap is Aerogel’s Spaceloft, a Low Profile Insulation. 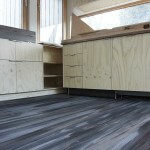 Timber battens are laid over top, and follow by the ASH H3 cladding.